One of the most popular pieces of advice he shares in his “Paradox of Potential” workshops and keynote speeches is about the importance of trying new things in your life and career. Courage is paramount to winning in business. You have to get out of your comfort zone and push your own limits. 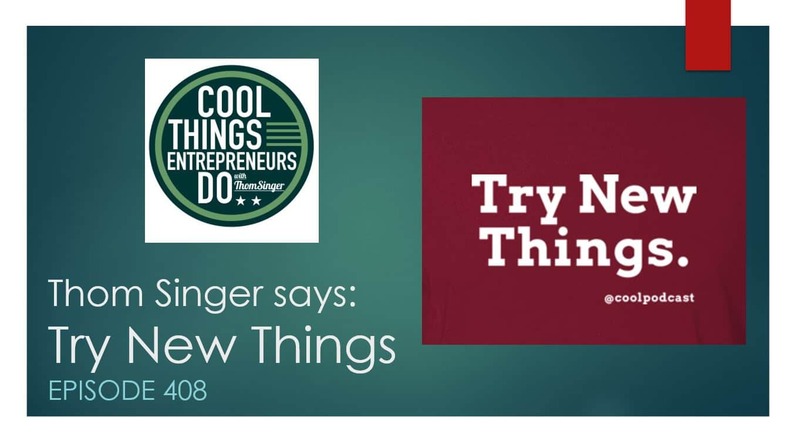 “Try New Things” is an important reminder to not get caught in the routines and ruts that plague so many careers. Stop looking for reasons to say “No” or hiding behind policy and tradition. Seek out ways to say “Yes”.